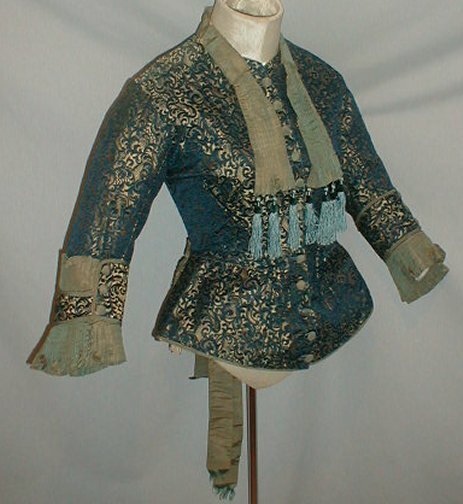 An ornate 1870’s blue silk brocade bodice. 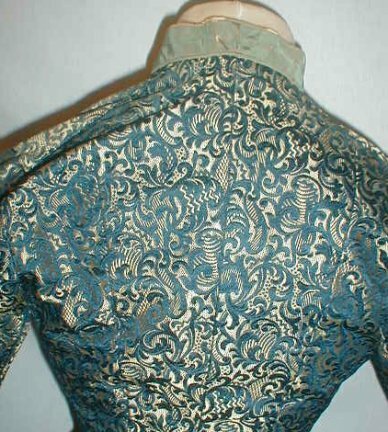 The brocade fabric has a navy blue bizarre pattern on an ivory background. The bodice is trimmed with aqua silk on the collar, front tabs and sleeve cuffs. 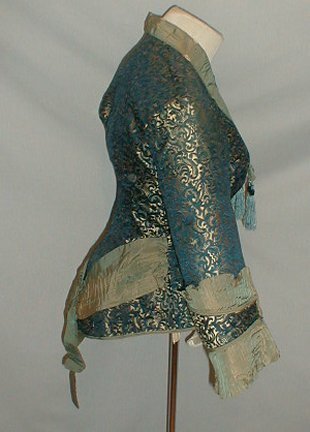 The hemline is also outlined with aqua silk. 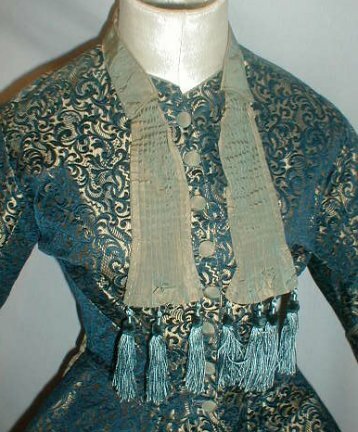 The front pleated tabs are decorated with blue silk tassels. 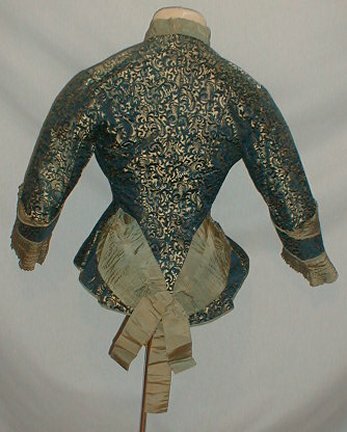 The back peplum is trimmed with a wide aqua silk bow. The bodice is lined with cotton and has a front hook and eye closure. The bodice is in good condition. 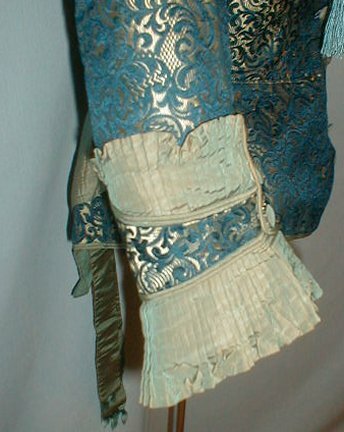 There is a slight mark of underarm discoloration on the inside lining, scattered fading on the aqua silk fabric and a couple of tiny splits on one of the pleated aqua silk cuffs. The collar and a couple of the silk buttons have some missing fabric. Bust 32 Waist 26.